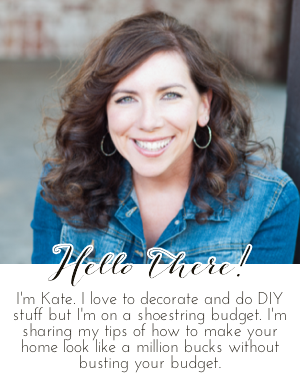 Chic on a Shoestring Decorating: Flaunt it Friday 322! Hello, friends! Happy Flaunt it Friday! Have you busted out any pumpkins yet? I thought I would this week because the season always goes so fast but I just didn't get around to it. It's been SO hot here (in the 90's with high humidity) so it just doesn't seem like pumpkins season yet. Oh well, it's supposed to cool down this weekend so I'm hoping the cooler weather will motivate me. I am hopelessly awful at doing holiday decorating, but all the fall links always makes me want to turn over a new leaf. Thanks for hosting such a lovely party. I hope you have a smashing weekend. Thanks for the party!!! Have a great weekend!! Thank you for the party! Have a super weekend!